Joel sits at the window with a box on his lap. Howard takes the seat beside him. Howard: Hey, how’s it going? Joel: Hey, Howie, long time. I’m good, I’m good. Movin’ in with Holly. She just had the baby. Howard: Oh yeah? Congrats, man. Howard: (points at the box) Buying baby stuff? Howard: You shoulda told me. I’m picking up my new truck. How much you got left to move? Joel: This is the last box. 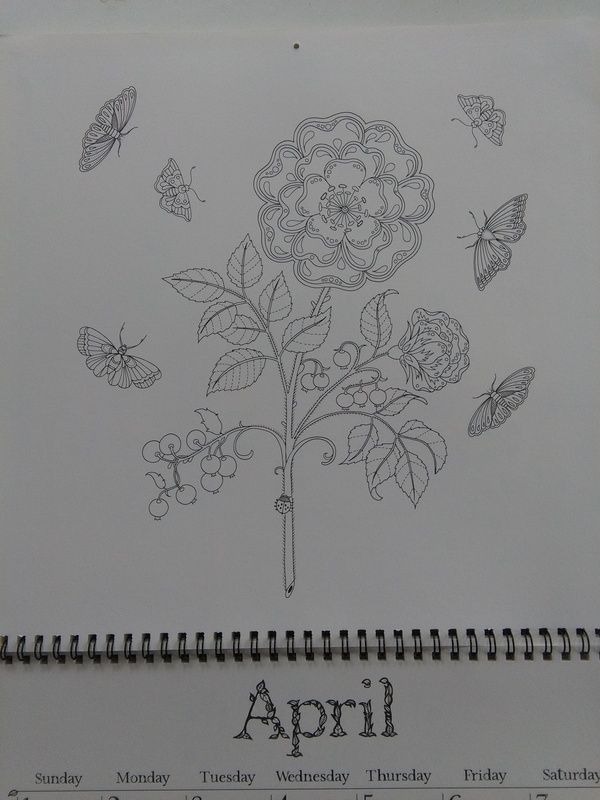 Categories: fiction, Scecond Seat on the Right | Tags: bad timing, Flash Fiction, friends, Holly, Howard, humorous fiction, Joel, micro fiction, moving, scene, short fiction | Permalink. 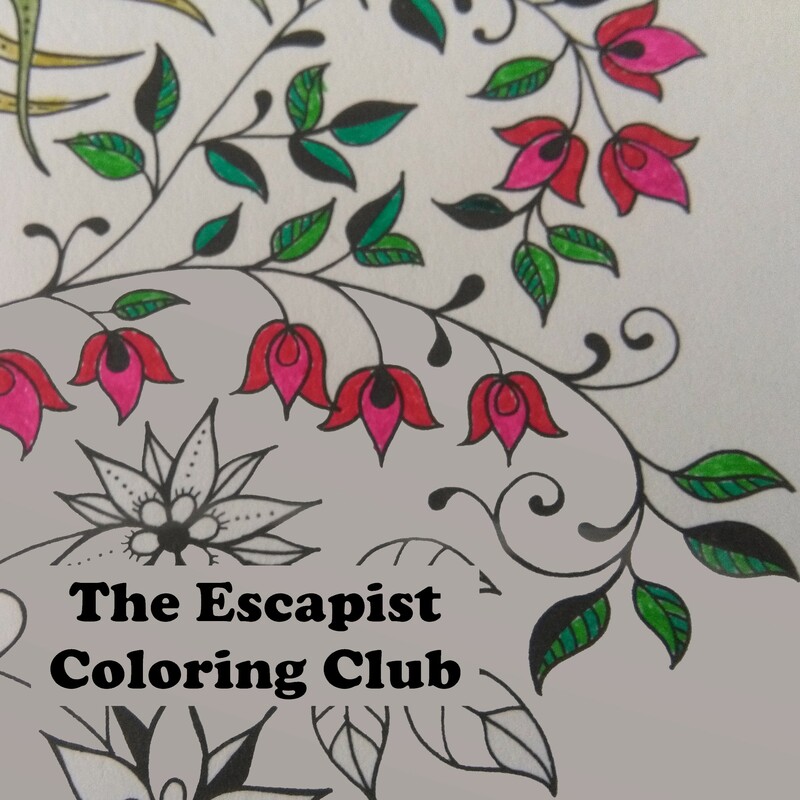 Welcome once again to The Escapist Coloring Club prompt! 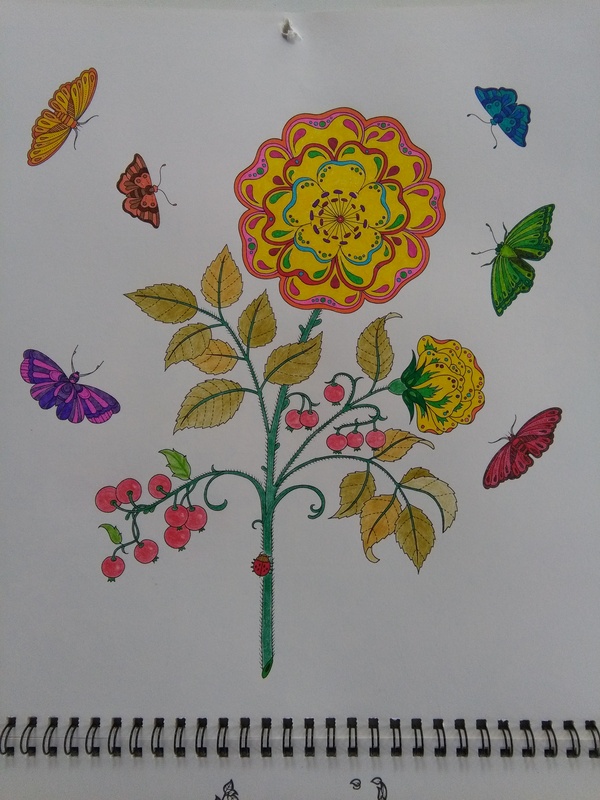 To join the club, all you have to do is post pictures of your own colouring, your kids’ colouring, or that of anyone you know and have permission to share. 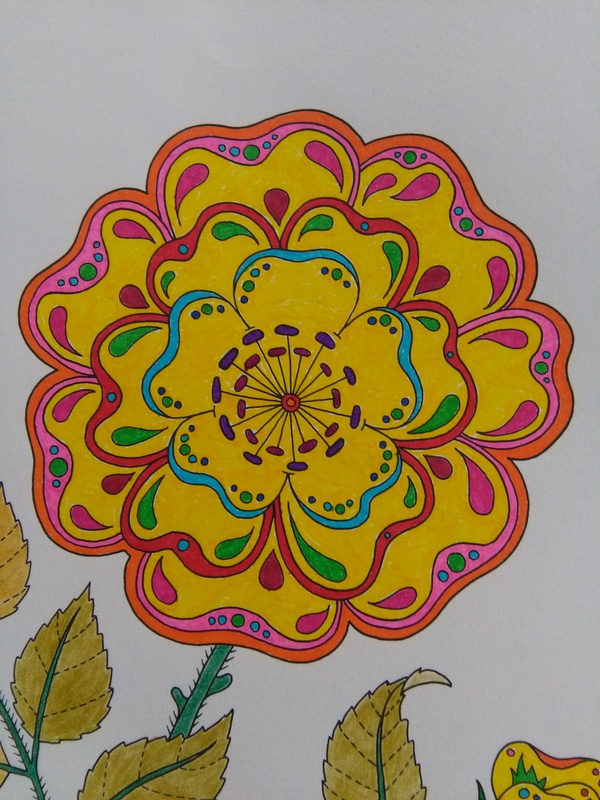 I coloured most of the big yellow flower at night – I was amazed at how much I’d missed when I looked at it in daylight! I look forward to seeing all of your amazing projects in the coming month!